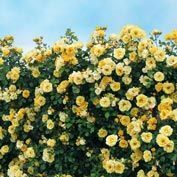 Sky's the Limit Climbing Rose | Gurney's Seed & Nursery Co.
An exceptional variety, this climber is more hardy and disease resistant than most yellow roses. You don't have to wait long on this free-flowering beauty either, it re-blooms even in the first season. And what a pretty picture it makes, the 4" butter yellow blooms are set center stage with a clean green foliage backdrop. 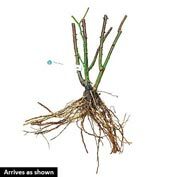 Train it to a fence or wall and let its quick-growing, beautiful climbing habit bring your garden's interest to new heights, 10-12' to be precise! Comments: Super hardy (unusual for a yellow rose). 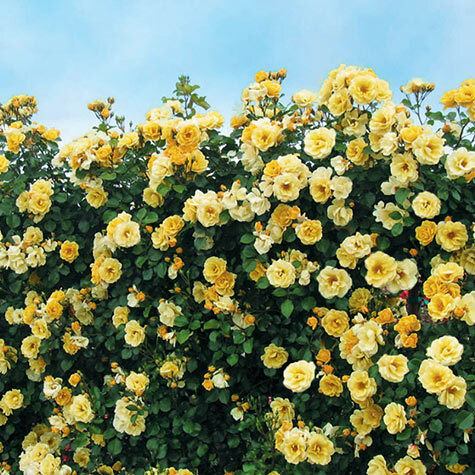 Climbs toward the sky, above other yellow roses.